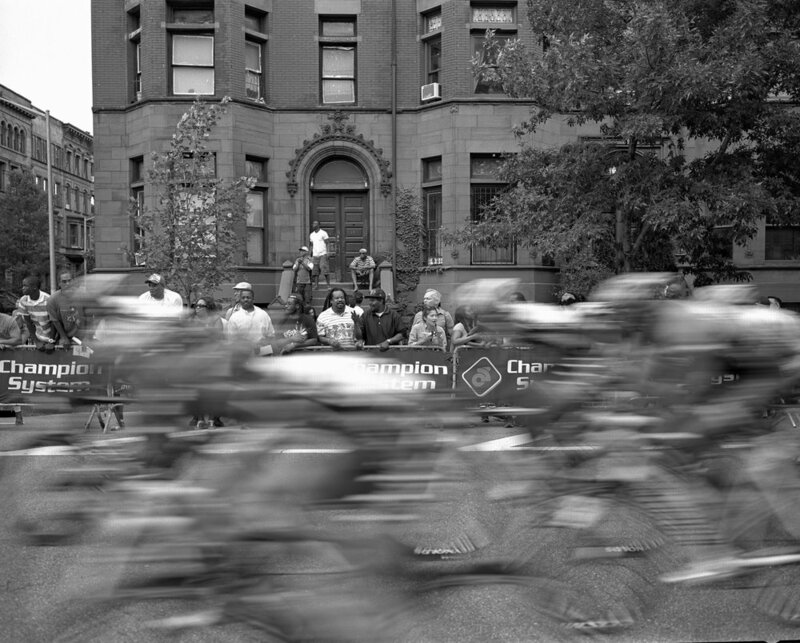 The Harlem Skyscraper Classic, aka the Harlem Crit, has the potential to be the best bike race in New York City. In fact for many years it was. Just seven or eight years ago the race was flush with sponsor cash and drawing in top domestic pros as part of the USA Crits Series. A few years after that video was filmed sponsorship funds for the Harlem Skyscraper Classic dried up and John Eustice stepped aside as race director, passing that responsibility on to Charlie Issendorf. During this era the lack of significant sponsorship meant no more jumbotrons but the 40-year legacy of the Skyscraper still drew in some top tier out of town riders willing to take on NYC's best. It was during this same era that our squad stepped in to sponsor the Elite Women's field. After the 2014 edition of the race, co-promoted by Charlie and CRCA, the race changed hands again, this time going to Richard Cox. I don't know Richard and I certainly am loathe to criticize someone willing to take on the often times thankless and very complex task of hosting a criterium in the middle of New York City. But from my perspective the cycling portion of the Skyscraper Classic has declined in quality in recent years. The Harlem Skyscraper Classic has gone from 280-300 riders to less than 200 for the past two editions. Pre-registration for the 2017 edition that happened this past weekend was just 142 riders. With registration trending in the wrong direction, another year with fields starting as much as an hour behind schedule, a series of unfortunate crashes that marred the 3/4 field and now controversy around gender equality I worry that Harlem is on the brink of being unsustainable as a race. But I write this not to focus on what went wrong at Harlem this year or in years prior. Instead I am looking to the future and write this to urge Richard and the cycling community to come together to improve and hopefully save this great event for many years to come. Going back to the potential of the race - Harlem has significantly greater community engagement than any other cycling event in New York City. 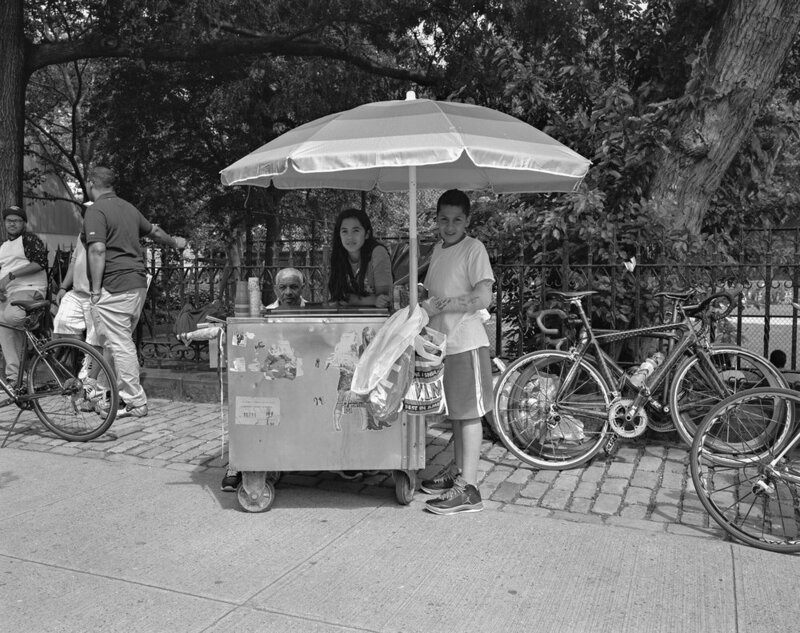 Between the course-side barbecue grills, the vendors selling Italian ices and the plethora of residents coming out to cheer on the cyclists, Harlem has a local flavor that is absolutely unique. The Brompton World Championships, held as part of this year's race, made a great addition to this vibrant backdrop. 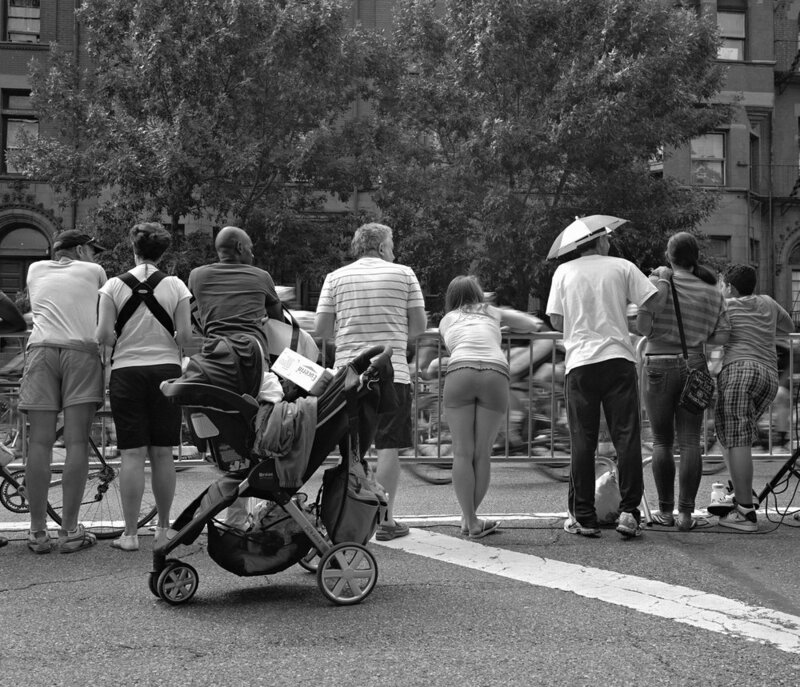 With this in mind and even with it's recent shortcomings, the cycling community will be worse off if the Harlem Criterium ceases to exist - not only will a forty year legacy of racing and community engagement be lost but on a more practical level it is nearly impossible to get new permits for street closures and Harlem is one of just two categorized races on city streets left in New York City. So as much as I am outraged about the cutting of the women's prize pool I am going to channel that frustration into attempting to improve the race and I hope others will do so as well. If you're interested in lending a hand drop me a line and we'll reach out to the race organizer and see what we can do. UPDATE (JUNE 21, 2017): NYSBRA has announced that the Harlem Skyscraper Cycling Classic promoter has agreed to reverse the $1,000 prize cut for the Women's field and pay out the advertised $2,500 amount. It is also our understanding that NYSBRA and USAC are going to work with the promoter to implement improvements for the 2018 edition of that Harlem Criterium. A big thank you to everyone that responded to this post by reaching out with offers of assistance.